Although there are several team building options available to you, one of the most popular requests is for our Secret Agent days. A range of original activities to provide a unique and modern approach to the development of individuals and teams within the business environment. 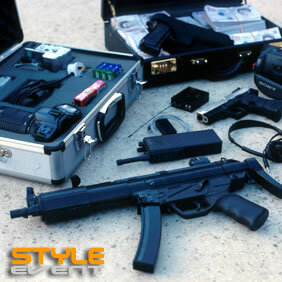 We use the exciting world of International Espionage and the work of Secret Agents as a theme for tailor-made events. With groups of 5 to 500 and a duration of 2 hours to 3 days, we have the experience, equipment and flexibility to create events according to virtually any brief.